Currently The Foundation FUNDAMBIEN is working in Colombia, South America to plant trees in the paradise Reserve. 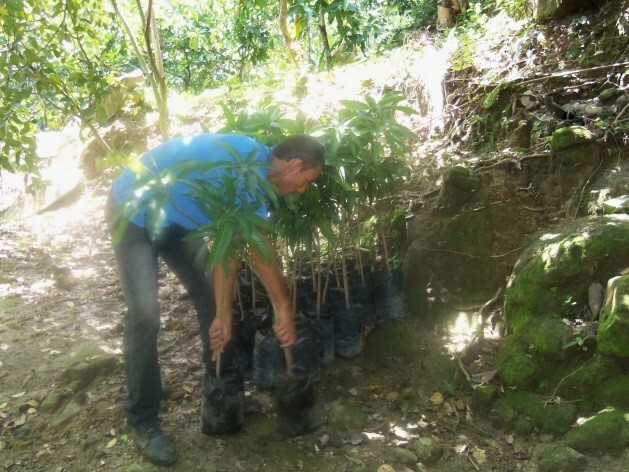 In previous years The Foundation FUNDAMBIEN has planted native trees to extend the Atlantic Rainforest in Colombia. If you has donated we invited you to know our work for the nature and you can to live for one week each year in the Paradise reserve. The aim of the Plant a Tree appeal is to support planting of native trees to reconnect fragmented habitat and provide additional food sources for bird and animal populations. Fundación FUNDAMBIEN has the paradise Reserve located near to Santa Marta city in front of Carieban Sea, The forests of this region are some of the most species rich on Earth but are also some of the most threatened, with less than 5 per cent of the original forest remaining. Paradise Reserve protects 400 acres of deciduous forest, which is home to many threatened and endemic species of plants and animals. 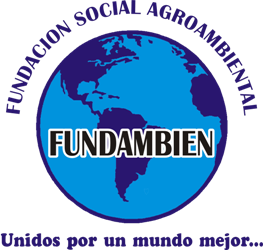 Fundambien partner organisations use a mixture of tree planting and assisted natural regeneration to protect and re-establish habitats. Habitats can often regenerate naturally if certain barriers are removed or controlled, for example stopping cattle grazing, limiting fire, or removing invasive species. Where tree planting is necessary, funding from FUNDAMBIEN Plant a Tree appeal supports a process that begins, in many reserves, with the collection of seeds from forest trees to raise in the reserve’s nursery. Trees selected for planting are a mixture of native species that grow naturally in nearby, established forest. Once the saplings are planted out on the reserve, they are checked and monitored to ensure successful establishment. Growth is usually fast, and fruiting species provide a food source for wildlife within a couple of years. It costs just USD $25 to establish a native tropical tree. If you donate USD $25 or more money to plant five trees you can choose to put your name in each tree and receive a personalised certificate of your donation. Planting programmes use native pioneer species which are quick to establish and can shade out competition from invasive grasses, for example, and restore soil condition. Pioneer species are mixed with slower growing second stage trees of particular biodiversity value to enrich the species mix of second stage natural regeneration under the pioneer cover. Monitoring has shown, in Colombia in particular, an immediate positive impact on avifauna. The trees planted are a mix of species found in the surrounding primary forest. 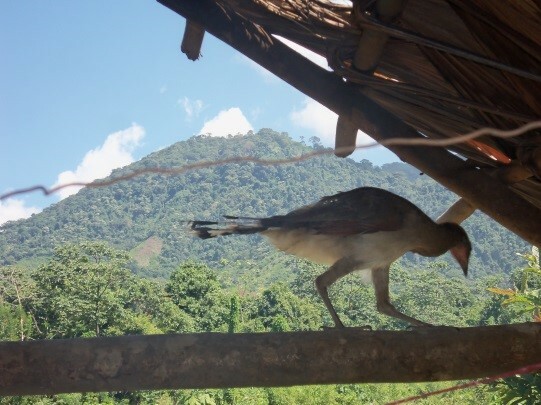 Birds protected in Colombia include: More than 50 bird species. WHAT IS THE FUNDAMBIEN ACTION FUND? The Action Fund allows FUNDAMBIEN the flexibility to direct money where it is most urgently needed, allowing us to react to the changing circumstances faced by our partners. WHERE WILL YOUR ACTION FUND DONATION GO? Your donation will be allocated to Paradise reserve our conservation projects in Colombia, South America as most urgently needed. You can support the Action Fund as a one off donation or by becoming a FUNDAMBIEN Friend and making a regular donation by direct debit for as little as USD $25 a month; this is invaluable to FUNDAMBIEN as it allows us to plan future conservation projects secure in the knowledge that we already have your committed support. Certificates, whether sent by post of email, will be personalised for you and sent within five working days. It is well established that many forest species are unable to survive for long in forest landscapes that have been severely fragmented by human actions. Therefore, whilst the acquisition and protection of surviving forest patches is the vital first step, it is sometimes not enough. Some habitat patches must then be expanded and reconnected if they are to sustain their characteristic wildlife. It is widely recognised that fragmented habitats, such as small patches of forest surrounded by agriculture, are exposed to a range of damaging processes. Key problems facing small habitat patches include dessication and wind-throw of trees at the forest edge, invasion of early successional and non-native species and increased predation rates. This on-going damage makes both the habitat, and species that depend upon that habitat, highly vulnerable. Having acquired blocks of surviving habitat and instigated sound conservation management, the FUNDAMBIEN and its partners investigate options for enlarging and reconnecting them to nearby patches of habitat. Often, agricultural fields adjacent to forest reserves are purchased and protected and subsequently reforested by FUNDAMBIEN’s partners, restoring vegetation cover to otherwise degraded lands. The process of enlarging forest patches can be acheived using two techniques; assisted natural regeneration and tree planting. Assisted natural regeneration accelerates the natural succession process and is achieved by removing barriers, such as soil degradation, competition with invasive species, and disturbances such as cattle grazing and fire. This normally requires an area to be fenced and existing saplings to be liberated through maintenance and cleaning actions. 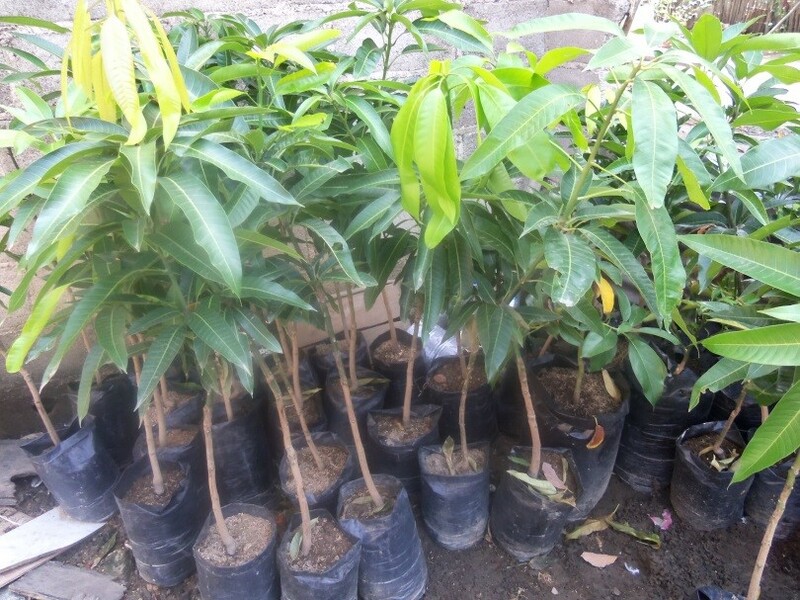 In some areas planting is required and a mixture of locally native tree and shrub species similar to the composition of the surrounding forest patches is used. This ensures that key locally native tree and shrub species that might otherwise fail to colonise the site are present. TRAIL WALKING, EXCURSIONS AND ACTIVITIES. In all cases you will be able to see the natural habitats and walk in the reserves. In some cases you may do this unescorted, in others you will need a guide. Other excursions may also be available such as horse-riding, night-time excursions and of course if your has donated you can to live in the Paradise reserve for one week each year. We recommend that you make a final confirmation of details with our partners.